You'll get a bang out of this! Partners in crime… and now, cooking? 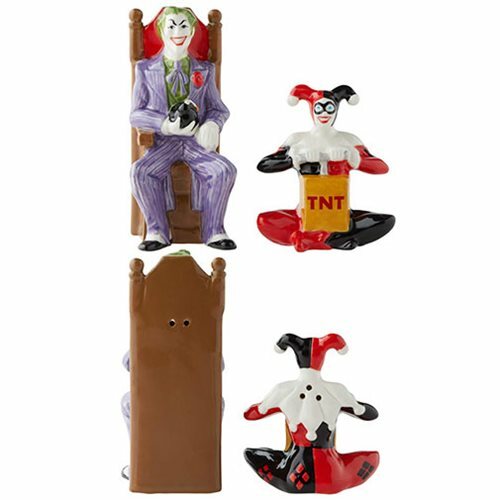 Spice up your food and your life with this DC Comics Joker and Harley Quinn Salt and Pepper Shaker Set featuring two of Gotham's most infamous lovebirds. They're made of stoneware, and The Joker measures approximately 3 1/2-inches tall. Hand wash only. Not dishwasher safe. Do not microwave.